An in-depth and extensive NordVPN review, find out how their service, website, speeds, support and more performs. 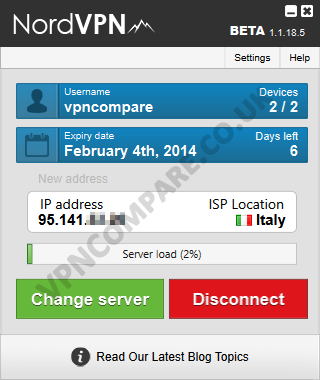 Read our extensive opinion of NordVPN. For a little over a week we’ve been working hard to test the service of and bring you this comprehensive NordVPN Review. NordVPN is a brand of Panamanian company Tefincom co S.A. which could consider them an off-shore VPN provider. We took a look at their service to see if an off-shore registered service can compete with some of the more typical VPN country providers. NordVPN appears with its name to give the impression that they may be aimed at the Scandinavian market, this is somewhat reaffirmed with the mountain type logo that adorns their website. The reality is NordVPN are a worldwide targeting VPN provider which go one step further than many providers in the fact that their website is available in 5 different languages. This is not a cheap Google translate button but full localisation in English, German, Russian, Polish and Lithuanian. From this I suspect there are a large portion of eastern European and ex-USSR customers making use of the service and perhaps “Nord” relates to the Baltic states who are divided from the Nordic countries by the Baltic Sea. Regardless of reasoning behind the company name it is a refreshing sight to see so many different languages available on one site and will be a bonus to customers of those languages provided. As such emphasis has been given to translation it would be nice to see French or Chinese offered in the future given that these are widely spoken and in countries likely to have a keen interest in VPN usage. There is one package type available which varies only on length of service. Service lengths include 1 month, 3 months, 6 months and 1 year giving a good variety to suit most people’s needs. Pricing for the monthly package starts at 8 Euros (A little over US$10) which puts this in the mid-range of prices compared to other providers although the longer service you take the more discount received. 3 months is available at 16 Euros (~US$22), 6 months priced at 30 Euros (~US$41) with the full year package costing 48 Euros (~$65) which compared to taking a monthly package equals a rather large 50% saving. Due to this, considering taking longer than a month may be advantageous due to the savings that are possible, although as with any VPN provider you should always consider testing one month before committing to such a long service. Payment is accepted via Paypal, Credit Cards, Bitcoin, WebMoney and Paysera. The availability of Bitcoin and WebMoney are welcomed as it allows more anonymous payments in the form of Bitcoin and with WebMoney opens up access to the service from ex-USSR, CIS, Russia and other countries in which it is a popular payment method. NordVPN offers the standard protocols including PPTP, L2TP/IPsec and OpenVPN. Their website has various tutorials related to the use of all three protocol types across a wide range of devices from Windows and Mac through to Linux and mobile devices such as Android, iPad and iPhone catering for almost all systems. When opting to use OpenVPN, which as always should be your first port of call as the most secure protocol, users will find that NordVPN provide a custom installer. For those who are new to VPN use this will be an easy process and no doubt a positive feature, it not only installs OpenVPN for you but also downloads and installs the latest configuration files as part of the process. On the flip side to this anyone who has used a VPN service before or has OpenVPN already installed this may be somewhat of a mild irritation as was the case with myself. Due to the numerous VPN providers that require reviewing when writing for a site such as ours the OpenVPN program has long been a standard install on my system, for sheer pernickety reasons I opt to use the 64 bit installer of OpenVPN and then proceed to keep all of my configuration files in such place. I take issue with providers who then want to install OpenVPN again on top of my installation which is an unnecessary step. Usually this type of episode is excused by being able to download the OpenVPN configuration files directly from the provider website and in the case of NordVPN was what I intended to do. Individual server configuration files are available to download from their “Server Status” page which include those for OpenVPN and launchers for PPTP and L2TP. The service uses dynamic IP addresses which are shared. This means on any session you connect you will be assigned a random IP address which may also be in use for other users. This is considered one of the safest forms as many users doing various tasks using the same IP address can lead to a tangled web of trails of who is doing what and where. Static IP addresses are available according to their website although unless you have a specific need for one then these are not required for most users. NordVPN currently offer servers in a total of 14 countries with further expansion plans for 2014 up until 2016 in the works. Their current hub of servers covers a wide range of European locations and some further afield. Currently Europe is covered by servers in the UK, France, Germany, Italy, Netherlands, Poland, Romania, Spain, Sweden, Switzerland, Austria and Russia. Due to the wealth of servers located in Europe it covers all the main requirement such as iPlayer from the UK, privacy conscious users will appreciate Switzerland with other countries such as Romania suitable for P2P and Torrent access. The rest of the world is a little more under-resourced with final servers outside of Europe available in only the USA and Hong Kong. Although thin on the ground these are two locations which are quite critical for such services like Hulu, Netflix and Spotify in the US with Hong Kong being considered a rather privacy positive location. Due to the current server locations the service would be ideal for those based in Europe although those located elsewhere may wish to hold off until later this year or early in to 2015 when their expansion plans show that they intend to cover more of North America, Asia and even Australia. After a few days of testing the service, NordVPN released their custom VPN software to automatically make connection via OpenVPN, if you have read any of my previous reviews you’ll know I’m a rather large fan of such programs as it allows new users to enter the world of VPN use without the need to go through lengthy installation processes or be confused by protocols, configuration files and the like. If you’re a beginner user then this is the type of feature that you’ll love and will be ideal for you. Although not required as much for the intermediate user and up, due to the introduction of the custom software it has greatly improved the accessibility of the NordVPN service to those who want as little to do with configuration as possible, if you don’t know the difference between a “VPN” and “PPTP” then the custom software will be ideal for you. The custom software is actually very nicely designed. After initially logging in you are presented with a server list which includes an option to easily change between a TCP or UDP type connection. Included in the server list is the country flag, country name, the current server load plus the ping in ms giving an indication of the speed between yourself and the server. For those unaware, the larger the number then usually the further away the server and in most cases the slower the connection will be, those that have lower numbers are closer by and will in general give a smoother connection. The ping column also makes note of which servers are currently “down” which I found was a useful addition. The pings themselves update as you click on and highlight each server. The pings continue to update when highlighted even when connected to one of the VPN servers which is unnecessary and would be beneficial if this was disabled in a future update. A rather quirky feature of the software is as you hover above the individual server it gives a small guidance on what each server is useful for. For example if you hover over the UK server it suggests BBC iPlayer, Hulu is displayed for the US server and a handful of more “torrent” friendly countries make the suggestion of P2P. New users are likely to find this handy as it points you in the right direction if you’re after making use of a specific service. Once connected to a server the display changes to more server specific information such as IP address, server location and the current server load. Some further information which is very useful and I haven’t previously seen on other providers software is the ability to see how long is left of your current subscription which will save on any disappointment if you forgot to renew one month because you didn’t realise the renewal date was approaching. With this is a display related to how many devices you have connected to the network out of how many available. Both are actually rather useful although I find they are slightly misplaced. To access such informative details you have to actually connect to a server, if your account had expired the previous day then this information wouldn’t be visible to you. Another situation that could arise is if 2 out of 2 connections were currently in use, you wouldn’t be able to know this because you couldn’t make a connection to see that. As I said, useful features but may be better placed on the main window of the software. The final area of interest on the software is the server load bar, when connected it gives an indication of how “in use” the server is. This is an excellent option, certain users will wish to use less utilised servers while others will want to use more heavily in use ones, this feature keeps you informed. Moving forward it would be nice if this progress bar update automatically at set intervals to continually keep you aware of changes in server load. While testing for DNS leaks when using the custom software I found that Google DNS servers are being made use of, so while no particular leaks to my ISP it would be nice to see NordVPN concentrate on offering more secure in house DNS servers handled by the software in the future. The changing colour of the notification area icon when disconnected, connecting and connected is present which allows a good indication of your connection status and is an area of importance that I have criticised other providers software for in the past. There are one or two features that could improve the custom software such as a kill switch but in its current state I found it easy to use and pleasing to the eye. Another new feature introduced by NordVPN is their “Double VPN” – What it is basically is two server hops. You make initial connection to their first server based in Austria which is encrypted and then automatically your connection is then encrypted again and sent on to a second server based in the Netherlands before finally being passed through the the public internet. With a system such as this it aims to give greater privacy and security by introducing a further “station” between what you’re doing on the internet and back to yourself. It is a pretty interesting feature and although a similar system is available at a handful of other providers it certainly isn’t an industry wide system making it more unique to NordVPN. For those who wish to add that extra layer of anonymity then it is certainly a bonus feature and with it coming as standard as part of your package no extra charges for this feature are incurred. As well as other new introductions such as the custom software & double VPN, NordVPN have recently introduced a new server dedicated to accessing the TOR network. The basis premise behind this is you connect to the VPN server in an encrypted mode which then routes your traffic through a widely known Tor network. This feature may appeal to certain groups of users as not only is the traffic then routed through various nodes on the Tor network further obscuring your usage but also allows access of .onion websites. In the recent weeks it appears as if NordVPN are introducing some interesting changes and are dedicated to offering unique services on their service pushing extra ways to further your privacy and anonymity. The last area that you may find intriguing is the jurisdiction that NordVPN are registered under. Their parent company is registered in Panama which for all intents and purposes makes them an “off-shore” company. 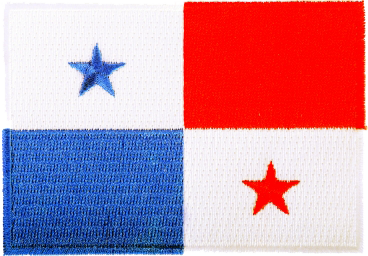 Panama is widely known for banking and corporation secrecy and the laws that exist usually put companies out of the reach of other jurisdictions, however how this pertains to a VPN provider is by myself, unknown. While in theory it seems an ideal solution to be governed by the laws of Panama, how this in reality works I will leave that up to someone with legal experience to explain. Although from a user perspective this makes them a non-US, non-UK and non-EU provider which may be of interest to certain users who feel the need to distance themselves from “regular” locations due to revelations that have been made public in the last year or two. One rare area of concern was when connecting to live help via the custom software I noticed another persons details already “signed in” – The details were not overly sensitive but I was provided with a first name and email address of another “customer” or “potential customer” – I changed these details and emailed the person in question (Hi Erik! ), he was rather surprised but confirmed he had used the live help option via the software a few days earlier to try and resolve an issue that in the end didn’t get resolved satisfactory. After contacting live help via the website I was quickly assisted and within a few minutes they had rectified the issue and pushed an update, for my trouble they offered me a free month service which although I declined is a good incentive for users to report problems. Although this situation may seem somewhat alarming the custom software is still in a “beta” mode and small issues like this are likely to arise, although it wasn’t ideal for a VPN company to be displaying a first name and email address of another user. However, how a company react to resolve issues shows a good deal about their credibility and in this case they reacted swiftly and professionally and only after resolution did I inform them that I was in the middle of writing this review and not beforehand. In general I found no major issues for general web browsing and other internet tasks that you’re likely to get up to on a daily basis. Testing the UK server for BBC iPlayer brought up no issues and although I am UK based myself there was no slow down or buffering even when watching the live TV stream. Watching Hulu from the UK is always going to be more of an issue due to the distance between our location and the closest US server, usually this is where you can tell a decent VPN provider apart from a poor one. In my tests I found no issues when watching TV programmes on Hulu and it was possible using their US server to select the highest possible quality without any delay or again buffering issues. One server that I did encounter issues with was the Swiss server. Although the majority of the other servers produced excellent results the Swiss server was overly slow in both general web use and downloading. It was so slow in fact that it could only muster 15x less than our maximum speed of 30Mb/s. Giving the server the benefit of the doubt I tested again a few days later to which the same result was evident. While I found no real issues with their remaining servers it is the one location from a personal point that I would opt to use on a regular basis due to Switzerland being one of the few countries within a good distance physically that is outside of the EU. As such it adds a small layer of extra security over using a EU based country. Top Tip: Make use of a nearby country that isn’t within an area that is bound by similar laws, i.e. if you’re in the EU, use one outside. If this isn’t possible i.e. if you’re in the US for example then use a country outside of your own and if possible most likely to be disagreeable in values or laws with your own. The new DoubleVPN service from NordVPN is quite obviously going to take a speed hit because of the encryption being in place twice and the simple fact of bouncing your connection between two servers in different countries before going out to the public internet. While this wouldn’t be ideal for downloading it is however very usable for general surfing if you require that extra level of privacy. We managed to get speeds of around 5Mb/s which for your general day to day internet use would be more than acceptable. As part of our review process we take a selection of servers and test them for maximum download speed. The process involves using a download manager to open the maximum amount of concurrent connections to download a 1GB test file from a well known British website. Server results may differ for you depending on your location but for your information we are based in the UK and are using a 30Mb/s internet connection. The servers listed in order are Italy, Netherlands, Romania, Sweden, Switzerland, UK and USA. The final server is the DoubleVPN. Standard encryption when making use of OpenVPN at NordVPN is “AES-256-CBC” which is better than the bog standard OpenVPN cipher and what I have come to expect as a minimum from any good provider. While the cipher in use is pleasing the RSA key size is still at the lower end of the scale being just 1024 bit. Recent standards have called for the demise of using this key size and the majority of other providers are now making use of 2048 bit RSA with some even pushing 4096 bit RSA. So while NordVPN equal most providers on cipher it would be a wise move to evaluate their RSA key size. Encryption used for L2TP is AES-256bit and PPTP is MPPE-128bit. Looking through the “terms of service” there are no concerning issues. The standard to be expected exceptions are in place such as no hacking, spamming etc. but as said these are to be expected and aside from those I could see nothing that would require you to overly consider before signing up. Torrent access is covered on the custom software and also highlighted on the server status page indicating which servers are available for P2P use. It may be a nice idea to have the server list available for torrent access clarified in the TOS also. Support is offered via Live Help, Contact form ticket system and a direct dial phone number. The ability to phone the provider is quite unique for VPN services which is a nice touch although there is no indication of the hours that this is available. NordVPN have a live help system although it appears that this is available on weekdays only. It is very useful as it allows you to get quick resolutions to any issues that you have although would be nice in the future to offer this on weekends also. Unfortunately it appears there is no answer to support questions on weekends at all. We sent off a test support request at 9am on a Saturday and received a reply on Monday at around 9am. After sending a second on a Sunday at 12:40pm a response was received at 8:40am on Monday. So while support excels on the weekdays it appears that the weekend is slightly lacking and may be a consideration for you if you ran in to issues earlier on a Saturday morning as this in the current state is unlikely to get resolved until Monday morning, not overly useful if you couldn’t make connection for some reason. While it may increase support costs throughout the business, most other VPN providers at least offer some skeleton support on Saturday with a good portion also on Sunday. If you run a 24/7 service then it is perhaps a requirement to at least offer support to the widest possible hours you can cover. NordVPN have many good points. Their policies allow most things that would be expected and no hidden clauses for the kinds of services you’re going to want to access when connected to a VPN. Speeds in general fair towards the better end of the scale although for some reason I struggled heavily with their Switzerland server at both on and off peak times over a range of days, aside from that one server all the other servers achieved my maximum or near maximum internet speed at all periods of the day. Adding features seems to be a recent trend with NordVPN and with the introduction of their custom software and the new features like DoubleVPN and the Tor VPN server it appears as if they are really pushing forward this year with services that are unique. One area that is slightly lacking is server access outside of Europe although as their website states they are planning on introducing more non-European servers this year and on the following two years. Hopefully this should address that issue. In terms of encryption the actual cipher they use is on par with most other providers although their RSA key size for handshaking could do with improving from the lowly 1024 bit to bring them in line with what is available elsewhere. A nice recent addition is their custom software which although only just released is rather well laid out and will add the ability for those new to the VPN world to make use of their service and is definitely a big plus moving forward. Support while good through the week is lacking on the weekend and is one area that we would like to see NordVPN improve on for the future, if you came across an issue on a Saturday then it isn’t acceptable to be waiting until Monday for a response. Overall I found the general service to be a good contender and in terms of speeds and the jurisdiction in which the company are registered under then it offers a nice alternative due to it being classed as an off-shore company. There are a few minor areas that could do with rectifying to make it a top notch service but even without those it is definitely a service to consider should it meet your own requirements. Fancy checking them out? Follow our link below to visit their site. IPVanish iOS app review, Clean and intuitive VPN solution! Molly: Hello. How may I help you today? to take the banner down. Sorry for the inconvenience. Molly: Sorry for the inconvenience. to choose us by compromising their own decision.